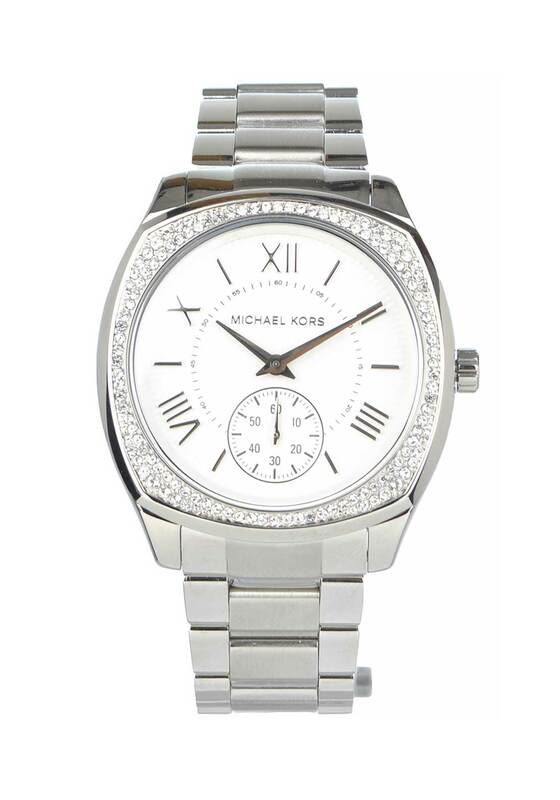 Michael Kors presents the polished yet practical Bryn watch which would inject a chic touch of glamour into your day or night time collections. Add a diamante embellished bangle for a further boost of sparkle. 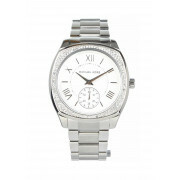 Designed with a silver plated bracelet strap and square shaped pave embellished bezel. The white face features classic Roman numeral hour markers and a sub-dial which records seconds.